Financial technology, or FinTech, including blockchain, artificial intelligence and virtual banking, is taking business by storm, with enterprises going all out to improve and transform their commercial activity by adopting them. The Hong Kong government and the local regulators are active in supporting FinTech, mindful of the opportunities it can create for the city’s economy. The effort includes a range of business incubator, accelerator and so-called ‘sandbox’ programmes. The latter is a virtual space in which new or untested software or coding can be run securely, allowing its developers to expedite the launch of new technology products. 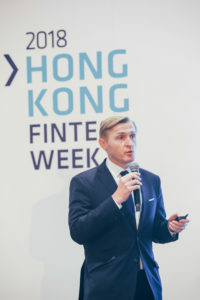 All these efforts are designed to ease compliance burdens; encourage capital investment and ensure the safety and efficiency of pursuing trade – for the business sector and for the end consumer – said Charles d’Haussy, Head of FinTech at Invest Hong Kong, the city’s inward investment promotion agency. “The safety and good practice of the market,” was in the reliable hands of the regulators, Mr d’Haussy said in an interview with Innovation Hong Kong. He said regulators were becoming more “proactive” and “vocal” in promoting financial security, citing the sandbox programmes launched by the city’s financial authorities in recent years. In Hong Kong’s case, the sandbox system allows FinTech businesses to run technology prototypes under realistic market conditions, while still under the regulator’s supervision. The aim is to align regulatory needs with the ability of the FinTech firms to comply, before a product is fully launched to the market. Ensuring security of customer data is one factor in the sandbox approach. Over the past few years, three financial authorities in Hong Kong, namely the Hong Kong Monetary Authority (HKMA), the Securities and Futures Commission (SFC) and the Insurance Authority have put in place their own sandboxes targeting banking, the local stock market and the insurance sector respectively. “Technology is helping in a big way in monitoring and keeping companies as compliant as they can be,” noted Mr d’Haussy. The FinTech Supervisory Sandbox was launched in 2016 by the city’s monetary authority. It allows banks and their partnering technology agencies to conduct pilot trials of their FinTech prototypes without the need to meet full compliance with its supervisory requirements. The programme aims to enable banks and tech firms to gather data and user feedback in order to refine their technologies. As of August, some 36 products were given a limited release in the market via the sandbox initiative, said Mr d’Haussy. Of those, 18 were jointly produced by banks and digital technology firms. Meanwhile, the securities regulator also announced in November the additional use of its own sandbox, launched last year, on the crypto asset industry in Hong Kong. It involves measures to regulate virtual assets in order to protect investors’ interests at the asset fund management and asset distribution level. The securities authority had been “vocal” about its “plans and visions” regarding crypto assets, noted Mr d’Haussy. “There will be more initiatives for crypto asset investments and exchanges within the SFC sandbox,” he told Innovation Hong Kong. The statutory body, he added, was stepping up its technical efforts to use artificial intelligence to monitor some of the local stock market activities, in order to “make sure the market continues to work in a healthy manner”. The compliance teams and the regulators were using technology “to make sure they keep up the pace” regarding monitoring and giving “guidance to the market,” said the InvestHK executive. The city’s monetary authority launched in September a blockchain-based trade finance platform, dubbed eTradeConnect. Twelve banks are taking part, including HSBC Bank Plc, Standard Chartered Plc, Bank of East Asia Ltd, Australia and New Zealand Banking Group Ltd, Hang Seng Bank Ltd and DBS Bank. “This is a great demonstration that Hong Kong is getting very practical in blockchain. More and more people are practising it and delivering products on the blockchain. It’s not about proof-of-concept projects. It’s going to production,” said Mr d’Haussy. The platform aims – via blockchain technology – to increase business efficiency among trade partners by digitising trade-related documents and securely distributing them among authorised participants. “We can feel that the regulators are very aware of this new technology, and they want to support this type of initiative and make sure it is a safe environment to operate,” stated Mr d’Haussy. In a similar move, the monetary authority is putting virtual banking under its regulatory net amid intensifying cyber security concerns. The authority received 29 responses from telecommunications operators, FinTech firms and global banks, after recently inviting applications for locally-issued licences to operate virtual banking. “Not only can virtual banking improve the competitiveness and attractiveness of the banking market, but it can also stimulate existing banks to be more digital and to renovate their ecosystems as well as what they have to offer to their customers,” Mr d’Haussy noted. This year saw the city’s first cross-boundary FinTech event linking Hong Kong and mainland China. It included Hong Kong’s technology-hub neighbour Shenzhen. The event was hosted by InvestHK and included in its scope the Guangdong-Hong Kong-Macau Greater Bay Area. It is an initiative of China’s central government – and usually known just as the Greater Bay Area – designed to link the infrastructure and different administrative systems of the three places. “The Greater Bay Area initiative is like bringing Silicon Valley together with New York – with Silicon Valley being Shenzhen, and New York being Hong Kong,” remarked Mr d’Haussy, referring to Shenzhen’s technology and manufacturing development role within China and Hong Kong’s clout as a financial centre. “No one would think that Silicon Valley is competing with New York because they have two different focuses; but when you bring them together, they become very strong players with strong propositions,” he said. The assets of Hong Kong were “very meaningful” in the Greater Bay Area context, he stated, underlining Hong Kong’s stature as one of the pillars of the initiative. “Hong Kong is an international financial centre where all the activities of finance are open and connected to the rest of the world. We have also a very strong capital-raising platform that is the Hong Kong [Stock] Exchange, where we’ve got more than 200 IPOs [initial public offerings] every year,” he added. “This is a great place for all the companies from the Greater Bay Area to come to Hong Kong to raise capital,” he noted. InvestHK has representation in 31 countries, giving it an important role in linking overseas companies with Hong Kong. Three years ago, the agency formed a dedicated FinTech team working out of Hong Kong, London and San Francisco respectively, in order better to connect overseas FinTech companies with the local market. “The team helps us to keep the conversation running six days a week, 24 hours a day with all the major FinTech companies from Europe and China,” Mr d’Haussy explained. “We help them understand the proposition of Hong Kong, at the same time assisting them to expand and to set up businesses in Hong Kong,” he told us. The support effort by InvestHK was extensive, including help in setting up a limited company locally; getting a local bank account; assistance with obtaining working visas for staff; and sourcing office space. 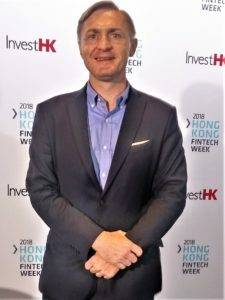 “Most importantly we connect them with the ecosystem and all the companies which are part of Hong Kong’s FinTech ecosystem,” noted the executive. InvestHK’s FinTech sector encompasses regulators and FinTech enterprises active in fields including payment and remittance, ‘big data’, artificial intelligence, blockchain, crypto currency and insurance technology. There are also specialists in the running of business accelerator and innovation labs; and in compliance work, as well as investors; the latter typically in the form of venture capital companies. “All of the technologies are here to uphold the quality and integrity of Hong Kong’s financial services,” said Mr d’Haussy. Copyright © 2017 innovationhongkong.com. All Rights Reserved.